Credo Stainless Steel Callus Remover with rasp is a multi-purpose tool to remove calluses. 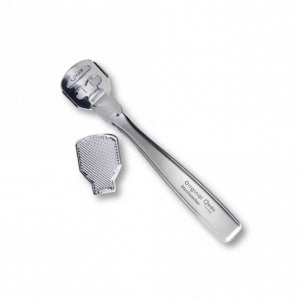 Always clean your ceramic callus rasp after use by rinsing it off under warm, running water. Diabetics and sufferers of poor blood circulation to the skin are recommended to contact their doctor before commencing treatment.